Click here for access to the report. 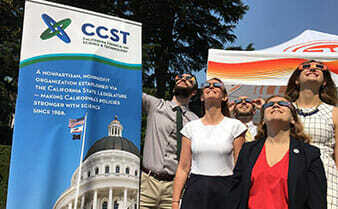 SACRAMENTO, Calif. – A highlight of S&T Week for CCST’s Federal Laboratory Affiliates was CCST unveiling of “Federal Labs & Research Centers Benefiting California” – a new reference publication for state leaders. 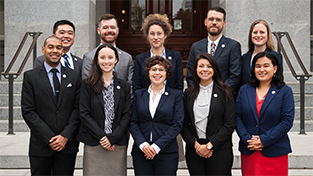 This impact report highlights policy-relevant research being pursued at California’s DOE and NASA labs, serving as a guide to how CCST and its Federal Laboratory Affiliates can serve and support science-informed policymaking in Sacramento. 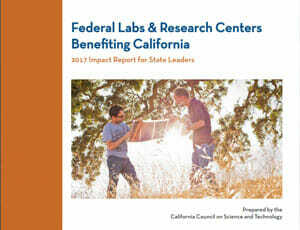 The federal labs impact report is the first such CCST publication since a 2006 in-depth analysis of the economic and R&D value of NASA and DOE labs to the Golden State. The re-envisioned impact report project was led by CCST Senior Program Associates Christine Casey, Shannon Muir, and CCST Communications Advisor Ben Young Landis, working directly with Federal Laboratory Affiliates Chair Sheryl Hingorani and government affairs liaisons at NASA Ames, NASA JPL, Berkeley Lab, Livermore Lab, Sandia, SLAC, and NREL. The new format functions both as an evergreen primer as well as an annual update. The “Research Overview” section lists timely and relevant research efforts across thematic areas spanning public safety, human health, ag/water/natural resources, climate change, energy, entrepreneurship, cybersecurity, STEM education, and basic science. The “Impact Reports” for each individual Federal Laboratory Affiliate explains a short history of each facility, as well as its key strengths and resources. 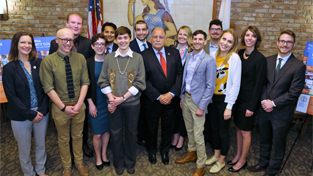 Specific case studies of federal research directly translating into state policy advice or in-state industry applications are listed, as are recent media headlines and quotes of praise from state legislators for each lab’s districts. Printed and bound copies of the new federal labs impact report are available to California state offices upon request to CCST Senior Program Associate ,Christine Casey PhD, and an online version of the report can be accessed here.